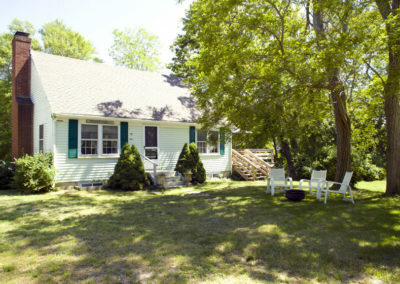 One of our largest houses, and in great demand. 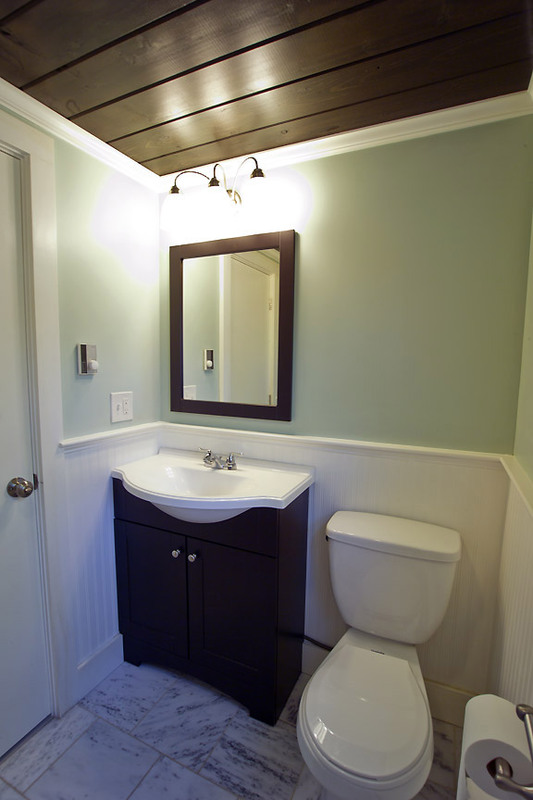 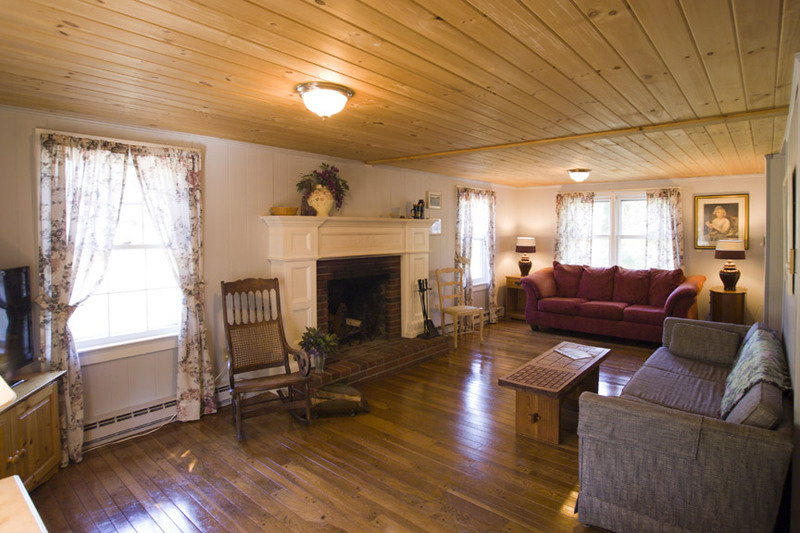 This two story has two full baths, hard wood floors throughout. 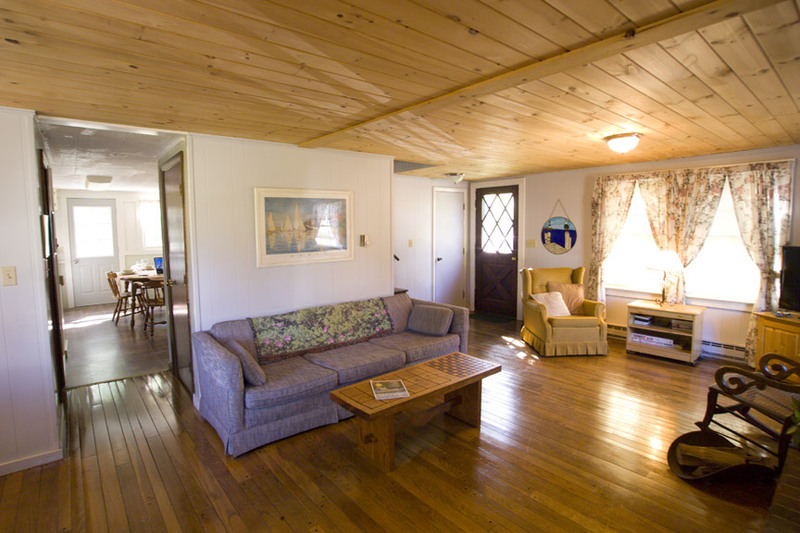 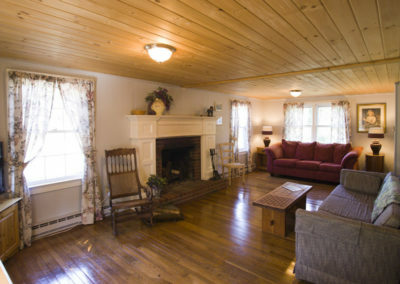 The very long and spacious living room has a fireplace, with ample sitting for a large group, cable TV/wireless. 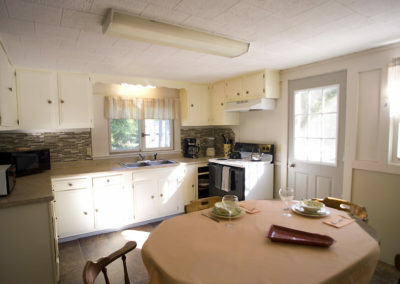 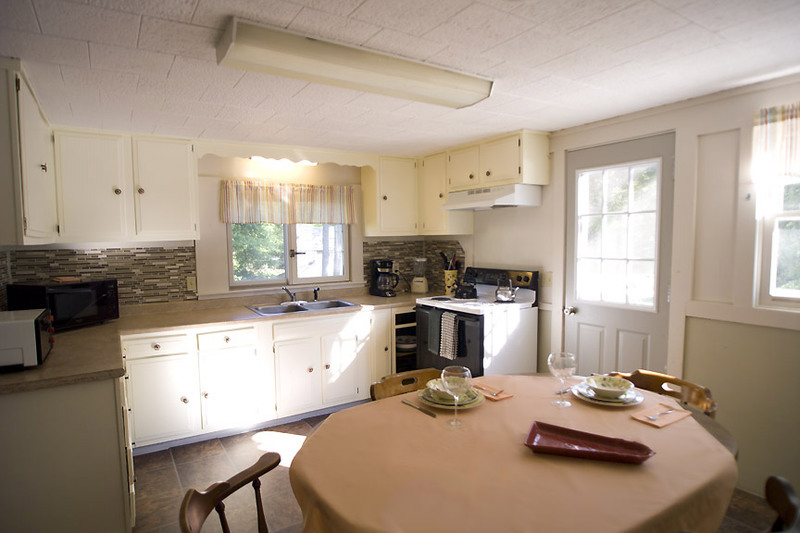 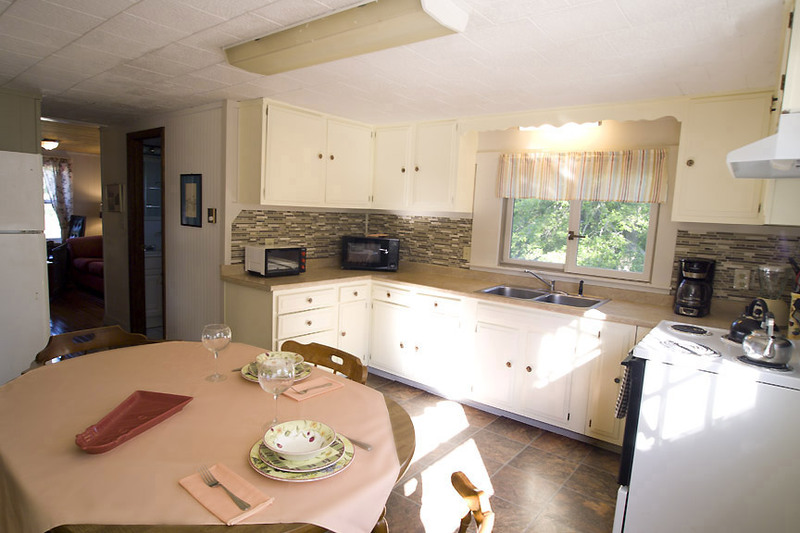 The large kitchen has a table and chairs, microwave oven toaster, coffee maker, dishes, utensils, and pots and pans and a portable dishwasher. 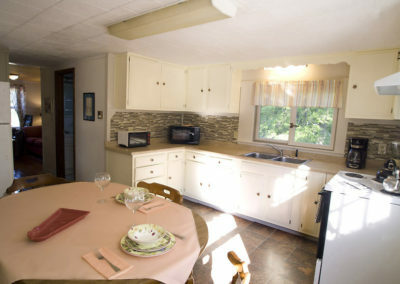 The refrigerator and electric oven are both full-sized. 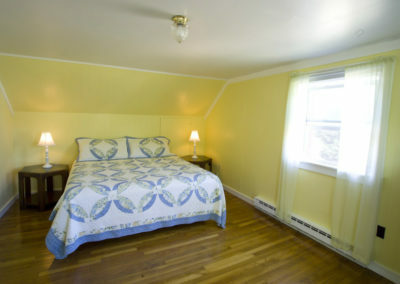 Off the kitchen is a twin bedroom. 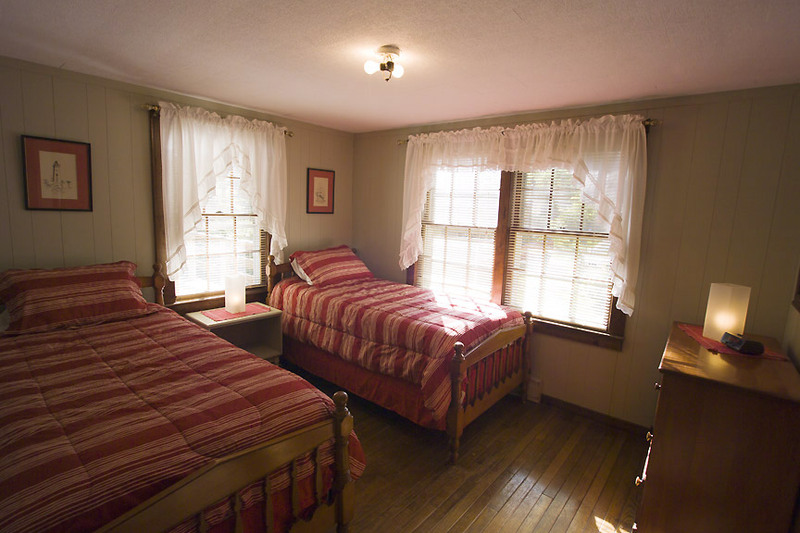 The upstairs bedrooms have 2 queens in one and a king in the other. 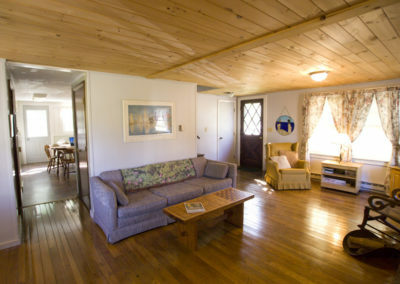 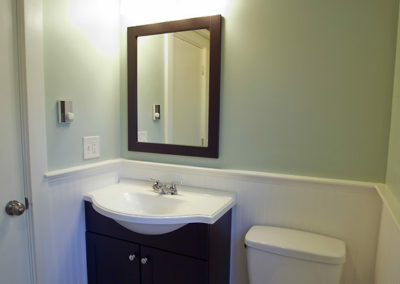 This house is winterized with electric heat and available year round. The side deck affords maximum privacy for outdoor eating or sunbathing plus its own outdoor shower. 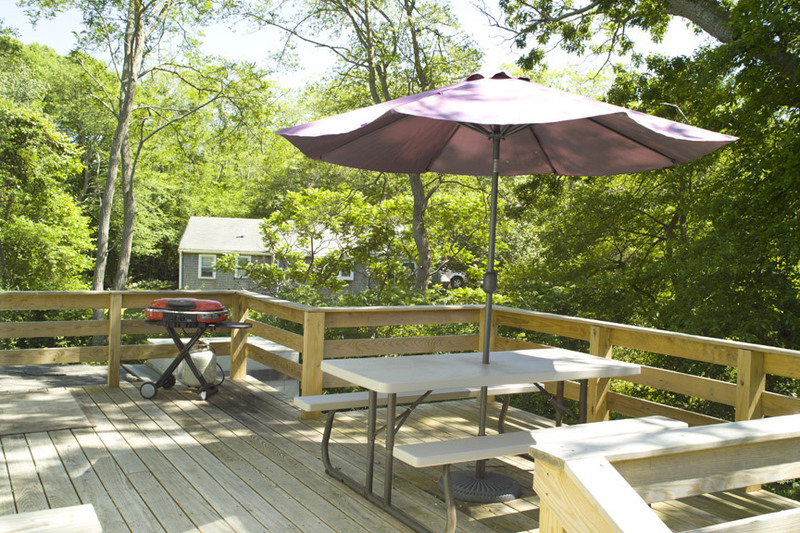 Deck furniture, clothesline and gas grille. 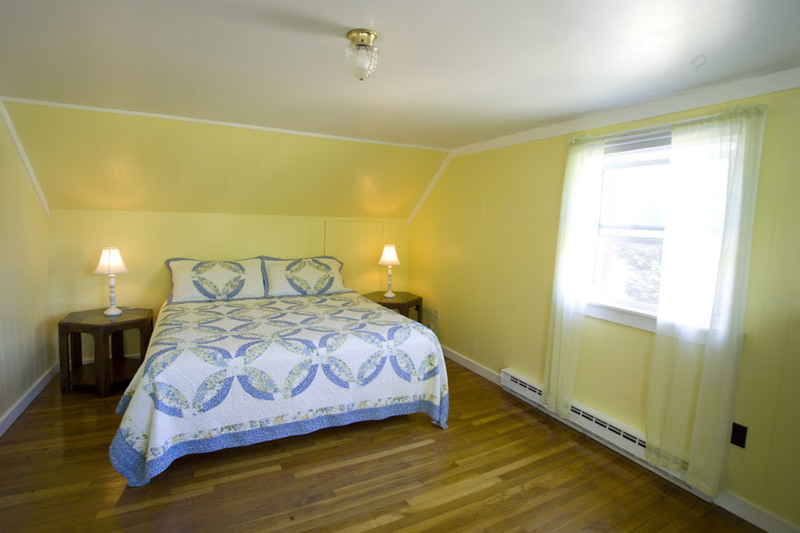 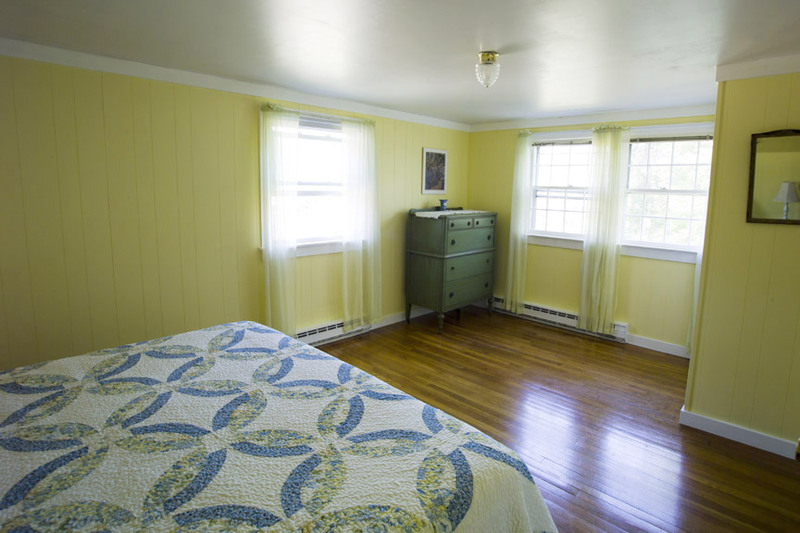 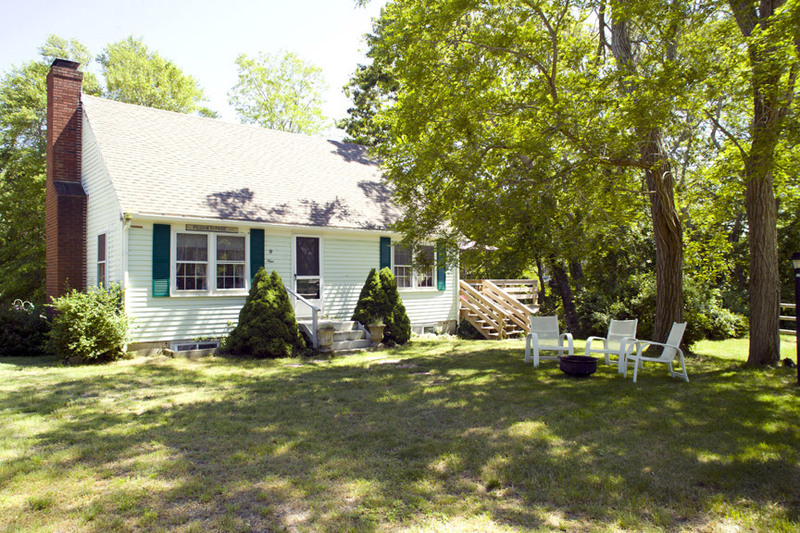 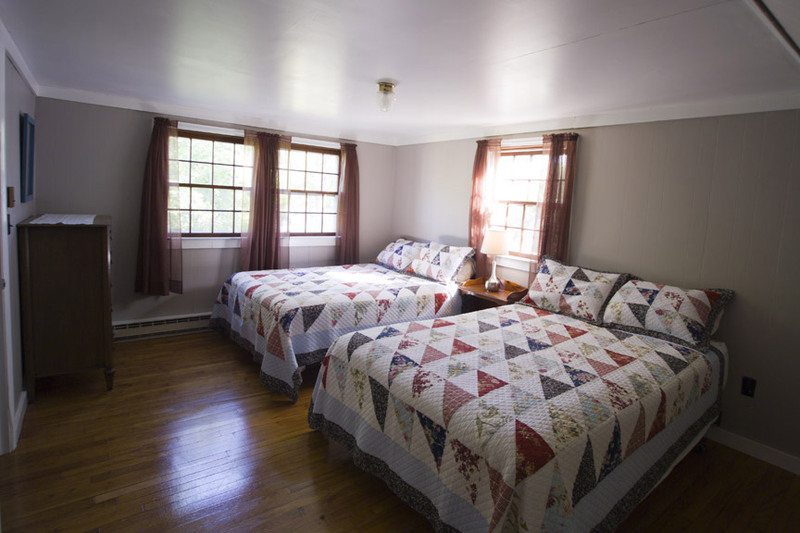 It is about 200 paces from the safe and peaceful Cape Cod Bay private beach.